Sreelus Tasty Travels: Meet Your Hostess for Healing Foods Series - Vegetarian Thanksgiving !!! Meet Your Hostess for Healing Foods Series - Vegetarian Thanksgiving !!! I am officially the host of healing food events this month, I am very excited as this is my first ever event hosted on my blog. Siri asked me to choose a them for the event and what else could be appropriate given the time of the year than “Vegetarian Thanks giving”. After living in US for more than a decade you learn to imbibe the culture and customs , I have always loved Thanksgiving whatever the origin are, it’s the time to remember the blessings and bounty you enjoy and take a moment to thank people that make it a blessing be known. As we get closer to thanksgiving I would like to invite you to share your thanksgiving vegetarian recipes, traditions and stories and any dishes that make a part of your celebration, any dish that evoke found memories of family and togetherness , any dish that you would want to sit down with friends and share. So bring on your traditions,your stories and yes recipes too . 1. Create a vegetarian dish, based on this month theme which is vegetarian thanks giving and post the same in your blog. Non-Bloggers can send their recipes with the details mentioned to sreelustastytravels@gmail.com. 2. Please link this announcement and my announcement page in your posts. Usage of the logo is optional. 3. Multiple entries are more than welcome - more the merrier! 4. Send your details - Name, Recipe URL and Photo (any size, optional) to before end date of the month, midnight, well since I am late I can take in entries till the 10th of Dec to sreelustastytravels@gmail.com, I will respond to your entry via email/comments and acknowledge. If you don’t hear from me within three days, feel free to ping me again. 4. 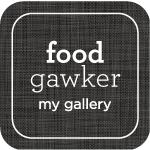 You can send previously blogged entries, provided they are re-posted! Gorgeous Siri has announced special giveaways - beautiful books by Jigyasa & Pratibha of Pritya Books and two lucky winners (randomly selected by the me) will win the following award-winning books as give-aways. Click on the link for more info on Healing foods event. 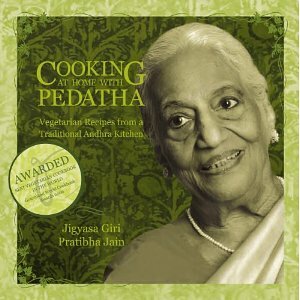 Awarded Best Vegetarian Cookbook in the World 2006, this book features traditional recipes by documenting the culinary legacy of an illustrious Indian grandmother. 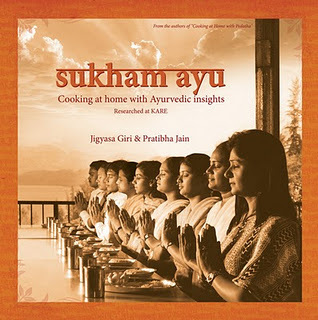 Winner of Best Health & Nutrition Book in the World 2009 – Second Place, this Indian cookbook is a guide to healthy eating & has been researched at Kerala Ayurveda & Yoga retreat near Pune. The books will be shipped across the globe. So, no matter where you are, you will get a chance to experience the love of Pedatha's cooking and goodness of Ayurveda Cooking. First time to your blog it's just breathtaking.. Awesome clicks too..
By the way happy hosting for the event..
Really Thanksgiving food festival created for sharing their love and thank god for satisfying all our needs. I need more vegetarian recipes and I want to implement those recipes in thanksgiving food festival. Send you my entry. kindly acknowledge. first time here.. enjoyed viewing your recipes and pics.. glad to follow you.. do visit my blog sometime..
Sreelu, Have sent in my entry!